In his vibrant ‘social history’ of the Natural History Museum Dry Store Room Number 1, Richard Fortey gives the reader a glimpse into the more obscure corners of the museum. Some of the more curious researchers disturbed by Fortey’s prying, like woodlice fleeing an upturned rock, are the dipterist. Fly experts have a reputation for spending their days counting hairs on legs down a microscope, one of the key identification features for fly species. Erica McAlister is a dipterists of a very different generation to the solitary creatures of Fortey’s study. Modern curators must leave their dusty corners and go out into the world to justify their obscure interests to the general public. 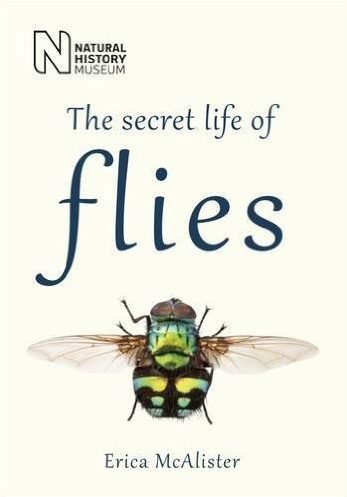 With public engagement in mind, the Natural History Museum has published a number of popular science books by their researchers on topics ranging from lichens to bats, the latest of which is McAlister’s The Secret Life of Flies. From the outset, McAlister faces the challenge of the poor public image of flies, as most consider them to be filthy pests which should be swatted quickly and not studied. But McAlister is a persuasive champion of flies in all their forms, and the book gives an overview of this surprisingly diverse and fascinating group. McAlister stresses early on in the book the useful roles flies play in providing some of our favourite foods. Flies are important pollinators of many plants including mango, black pepper and carrots. But the choicest evidence for the pro-fly case is the chocolate midge Forcipomyia, pollinator of chocolate. But the flies have their pollinating prowess overlooked in favour of the bees, which McAlister clearly thinks is unfair. Flies are far more diverse a group than those familiar only with the house fly would think. One in ten of every species described is a fly, and McAlister stresses throughout the book the understudied nature of the group, even in compared to the beetles, let alone the mammalian charismatic megafauna. Therefore, McAlister makes a case for the charismatic minifauna. The book is structured so that each chapter details one of the ways of life that flies have evolved to carry out. 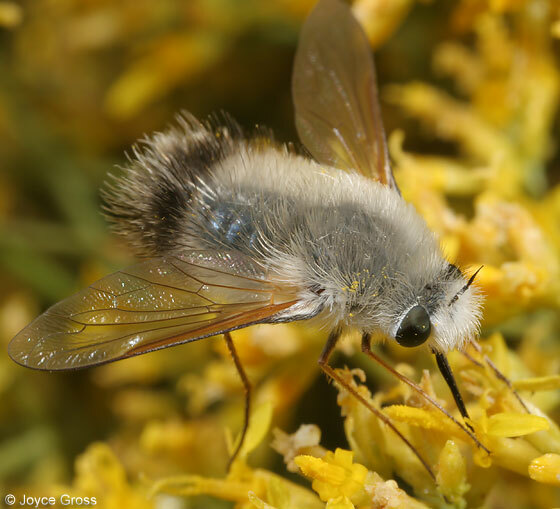 There are the detritivores, who help rid the world of rotting vegetation, such as the adorable drain fly. The coprophages include the living punchline to the old joke “what do you call a fly with no wings?”. It is referred to as the bat fly, or Mystacinoba zelandica, rather than a walk, and has lost its wings in favour of clinging to the fur of bats. Then there are the more grisly species; the predators like the fearsome soldier flies and the parasites including the flesh-eating bot fly larva and the parasitoid thick-headed fly larvae who kill their hymenopteran hosts. But even these species can be useful, as McAlister stresses that the parasite of a pest is an ally. Then there are the bloodsuckers, most infamously the mosquitos. McAlister never vilifies the species she describes, and she finds beauty in even the more unlikable groups, such as the vivid metallic female Sabethes tarsopus mosquito. The book is written in an informal style. I counted two “by gum”s, included presumably to fulfill the publisher’s quota of delightful British idioms. McAlister takes an intellectual and aesthetic delight in her topic. She finds charisma in her minifauna, the grey bee fly and Cuterebra emasculator must be vying for the honor of being McAlister’s cutest flies. The book does not try to be a textbook introduction to the dipterans, rather takes interesting or illustrative species. This does run the risk of not giving the reader a conceptual understanding of the topic, so the case studies become unmoored without the appropriate context. McAlister does provide this basic information throughout the book, but often later than would be most appropriate. For instance, halteres are only mentioned over two hundred pages in, is a key distinguishing feature of the flies, though not terribly interesting, I admit. The book is lively and richly illustrated and gives an impression both of the enormous complexity of the order Diptera and the life of a curator, which is spent as much collecting flies in far flung locations as pushing pins through specimens. The profession has come a long way since the days of curators hiding away in dusty corners, now more curators enter the public stage to defend their work and earn their keep. This book shows that public engagement is not merely a box ticking exercise but a vital part of shaping knowledge and helping preserve biodiversity.